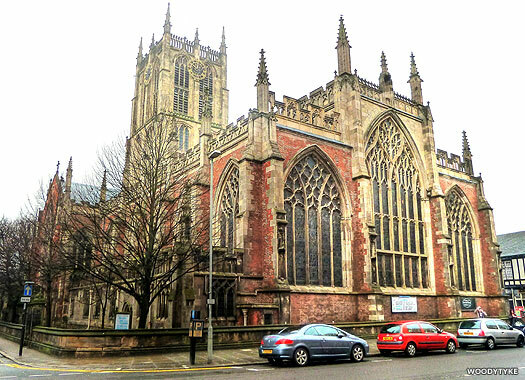 Holy Trinity Church stands on the western side of Market Place in the city of Kingston upon Hull, flanked by North and South Church Side streets. It is one of the three largest parochial churches in England. A chapel existed on this site prior to 1204, but this was destroyed following a dispute over its ownership. A replacement chapel was founded by one James Helwood in 1258. A churchyard was licensed for it in 1301, but the chapel was in a ruinous state by 1537. 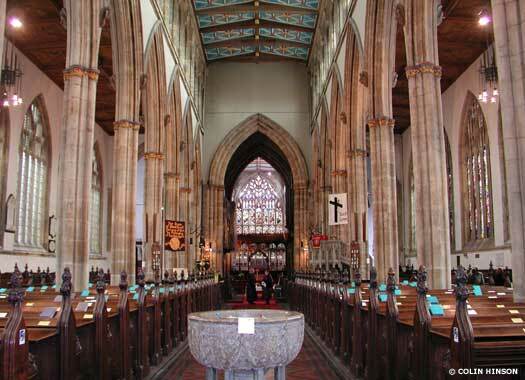 The building remained a chapel of ease to All Saints Hessle until 1661, when an act of Parliament separated them and gave Holy Trinity its own parish in the centre of Hull. The oldest parts are the late thirteenth century brick transepts, when general rebuilding began on the site. The chancel was erected between 1320-1370 with an arcade of five bays. The nave was built over three or more decades up until about 1430. The three stage tower was completed about 1520-1529. 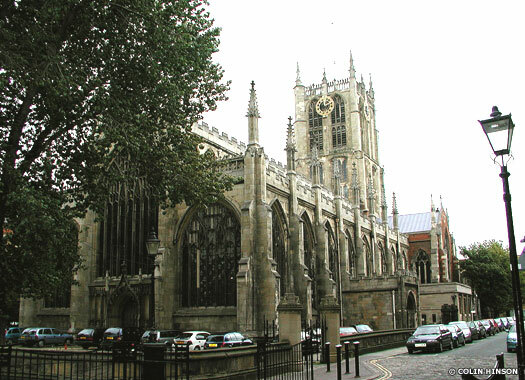 The centre of Hull was home to other parochial churches which have since been lost, including St Stephen, St Stephen's Square, consecrated 1845, demolished 1955; St Luke, St Luke Street, consecrated 1862, demolished post-war; St Barnabas, on the corner of Hessle Road and Boulevard, consecrated 1874, demolished after 1970; St Jude, Spring Bank, consecrated 1874, demolished after 1970; and St Thomas, Campbell Street, opened 1873, demolished post-war. St John the Evangelist Church Drypool stood near the north-west corner of the Prince's Dock, close to the Wilberforce Monument. This plain, red brick church was the first to be erected in Hull after the town grew beyond its old city walls. 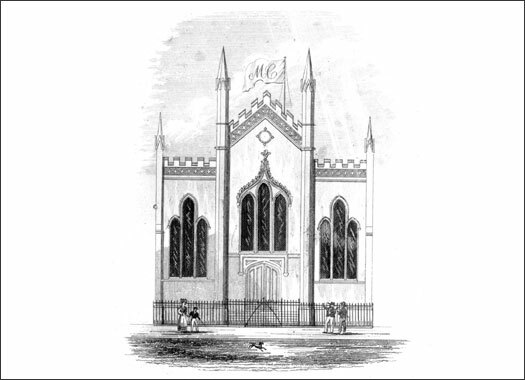 It was consecrated in 1791 and opened in 1792 as a chapel of ease to Holy Trinity. It gained its own district in 1868, but closed in 1917 and was demolished when the parish was combined with Holy Trinity. Ferens Art Gallery now stands on the site. 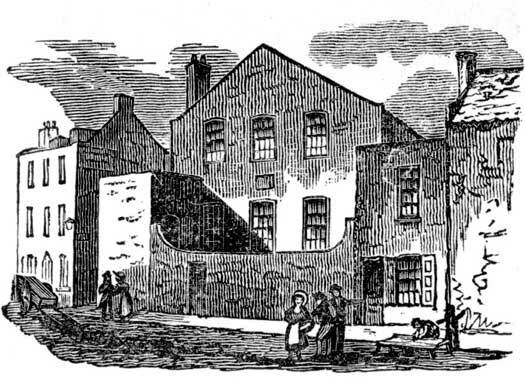 Mariner's Church stood on Prince's Dock Street. The church is said to have been the first mariners' church established in England. A dissenting chapel was opened here in 1828 to serve mariners, but was found to be too small. 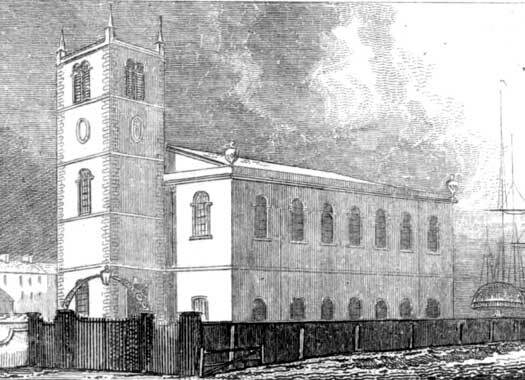 The church shown here was its replacement, opened in 1834, with a neat brick front built in the Early English style. It consisted of a nave, with galleries all round, and contained sittings set apart for sailors and fishermen. Its date of demolition is unknown. The Swedoborgian Chapel Dagger Lane stands on the eastern side of Dagger Lane, midway between Prince Street and Robinson Row. A chapel was built here in 1698 by Independents, and it thrived until 1767 when Blanket Row Chapel was opened as a replacement. The Swedoborgians gained it in 1783 and greatly enlarged it before moving to Spring Bank in 1875. It was later a synagogue, but in 1964 it was a warehouse, and by 2008 it had been converted into flats. All photos and prints on this page contributed by Colin Hinson. Prints from 'A Picture of Hull' by John Greenwood, 1835.